Notes from Nature is excited to make available a special new set of Ornithology ledgers! They are available now and are from one of the true pioneers in our understanding of birds in India, Nepal, Pakistan and other nearby regions. We are also fortunate to have an expert on that pioneer, Allan Octavian Hume, to tell us more about him. Below, Robert Prys-Jones has written more about this amazing early naturalist, whose collections ledger records at the Natural History Museum London are now available to you to help digitize! Allan Octavian Hume (1829-1912) was responsible for presenting to the NHM the largest bird collection it has ever received, approaching 65,000 bird skins and 20,000 eggs, very largely from the former British India (i.e. modern India, Nepal, Pakistan, Bangladesh, Sri Lanka and Myanmar). However, he was a most extraordinary person in many other ways also. Starting out as a young administrator in the East India Company in 1849, he was officiating magistrate in Etawah, N.W. Provinces, at the time of the Indian Mutiny in 1857, playing a heroic but humane role in pacifying his area of responsibility, in recognition of which he was awarded the Companion of the Order of the Bath (CB). During his subsequent rise through the ranks of the British Raj to hold one of its most senior posts from 1871 to 1879, as Secretary of the Department of Revenue, Agriculture and Commerce, he dazzled with his efficiency but upset some of his superiors through his conviction that the core of his role was not to raise revenue but to improve the lives of ordinary Indian people. Eventually his outspoken views resulted in his demotion, followed by his subsequent retirement at the end of 1881. These 20 years from the early 1860s to the early 1880s, ones of massive and increasing work responsibility, were when almost the entirety of Hume’s ornithological contribution was made, strictly as a consuming hobby. Gradually building up a network of correspondents and specimen contributors (his “coadjutors”) spanning British India, he made it his aim to transform knowledge of the region’s avifauna. Facilitating this, he published relentlessly, notably in a journal Stray Feathers that he founded and produced, employed a professional bird curator and collector (William Davison) from the early 1870s and mounted major expeditions to poorly-known areas. Hume’s resignation from the British Raj coincided with his own diminishing interest in ornithology, something exacerbated by his deep but relatively brief involvement with Theosophy at this time, during which he became both a vegetarian and increasingly unwilling to procure specimens in the name of science. At the same time, now unconstrained by his job, his involvement with radical politics blossomed: he played a seminal role in the founding of the Congress Party, which would eventually become the main vehicle of the Indian independence movement and was the party of government in independent India as recently as a couple of years ago. 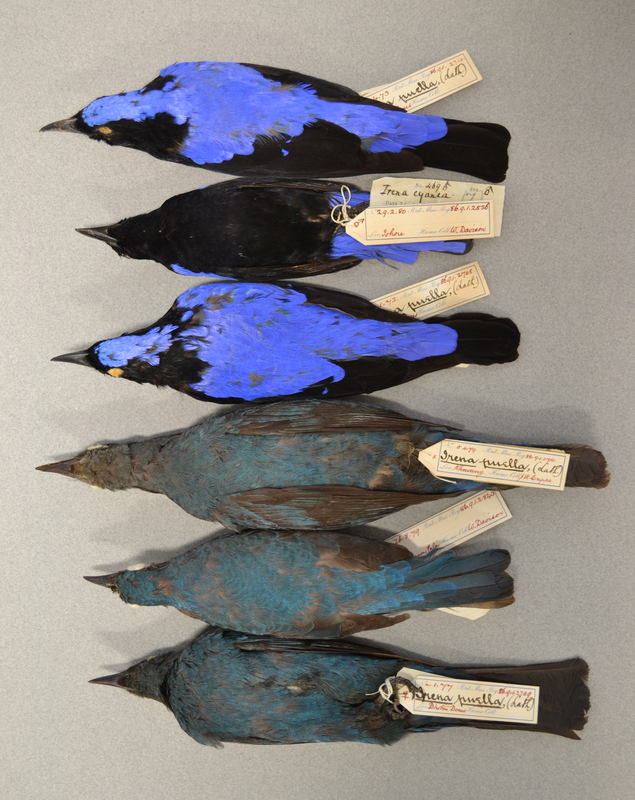 Following the tragic theft of most of his text for his long-planned magnum opus on the Birds of British India, in 1885 Hume donated his entire bird collection to the Natural History Museum and withdrew from ornithology. Finally returning to live permanently in Britain in 1894, he threw himself into liberal politics, as well as taking up British botany with the documentary zeal he had once devoted to Indian ornithology. Dissatisfied with convenience of access to the Natural History Museum botany collections for the interested working man, his final major act, in 1910, was to set up and endow the South London Botanical Institute (SLBI): over one hundred years later this is still going strong. Meanwhile, his ornithological collection remains the bedrock for all future south Asian bird research, as is fulsomely acknowledged by the most recent handbook for the area (Rasmussen & Anderton 2012 Birds of South Asia. 2 vols. 2nd ed.). In 2012, the centenary year since his death, the NHM and SLBI jointly acknowledged his significance by devoting a one-day conference to him. Those interested to learn more of Hume may wish to look at a recent review of his life, focused on his ornithology – http://orientalbirdclub.org/wp-content/uploads/2012/11/Allan-Octavian-Hume.pdf – and at the account of him on Wikipedia – http://en.wikipedia.org/wiki/Allan_Octavian_Hume . The current effort to crowd-source his bird registers will feed directly into on-going research into understanding his development as an ornithologist and into interpreting the science in some of his diaries now held by the NHM. The content about Allan Octavian Hume was written by Robert Prys-Jones and intro. and posting of this by Robert Guralnick.